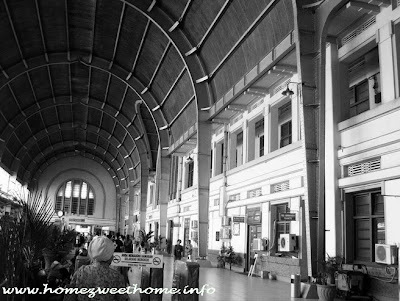 Last week I shared some pictures inside Bogor train station. 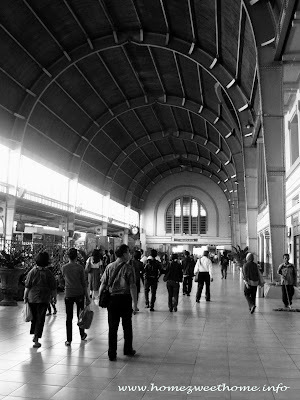 This time is Jakarta Kota train station turn. Jakarta Kota station is located in the old city center of Jakarta (capital city of Indonesia). 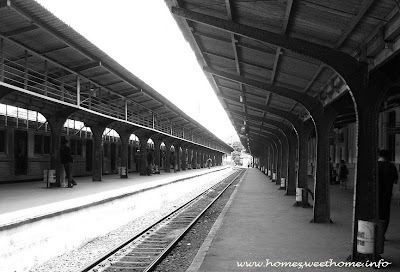 In 1993, this station was selected as a historical and cultural landmark. Built around 1870, renovated in 1926 and re-opened on August 19, 1926. The Dutch Governor General, A.C.D de Graeff launched formally on October 8, 1929. We use to call it BEOS station (an abbreviation from the Bataviasche Ooster Spoorweg Maatschapij or the Batavian Eastern Railway Company). The station design is a combination of Western Art Deco and local architecture styles. (data source:Wikipedia).